Spend seven nights and six days in the enchanting south of France. Our 16th century chateau at the foothills of the Luberon, ‘La Loubiere,’ is surrounded by beautiful countryside, yet just 20 minutes from Aix en Provence. 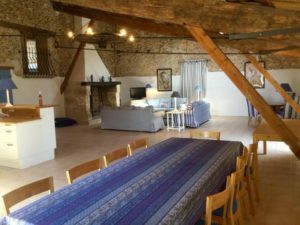 This 10 acre property is an ideal base for exploring the beautiful markets and villages of the Luberon. Guests have your own fenced pool with views of lavender, and the thyme and rosemary covered hills. There is unlimited access to the hard tennis court, which was resurfaced in 2017 and is shaded by trees in the grounds of the chateau . 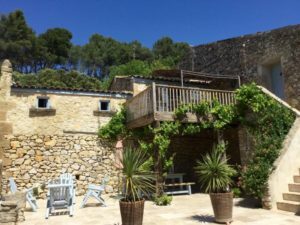 It is also a perfect base for hiking, mountain biking and horse riding with its proximity to the Durance River and the Luberon hills. Enjoy slow, luxurious meals on the stone terrace or relax by the pool. And of course, do yoga! Yogis of any ability level are invited. Your host, Yoga Therapist, and E-RYT 500 yoga teacher Kelly Fisher will offer daily classes in yoga, yoga nidra, and meditation. 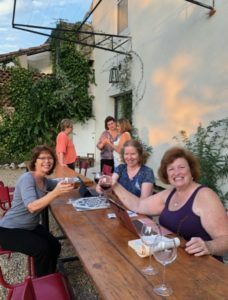 Chef Rita Cain will provide breakfast and most dinners, and host Annette Para, who is native to Avignon, will assist you in having the time of your life. 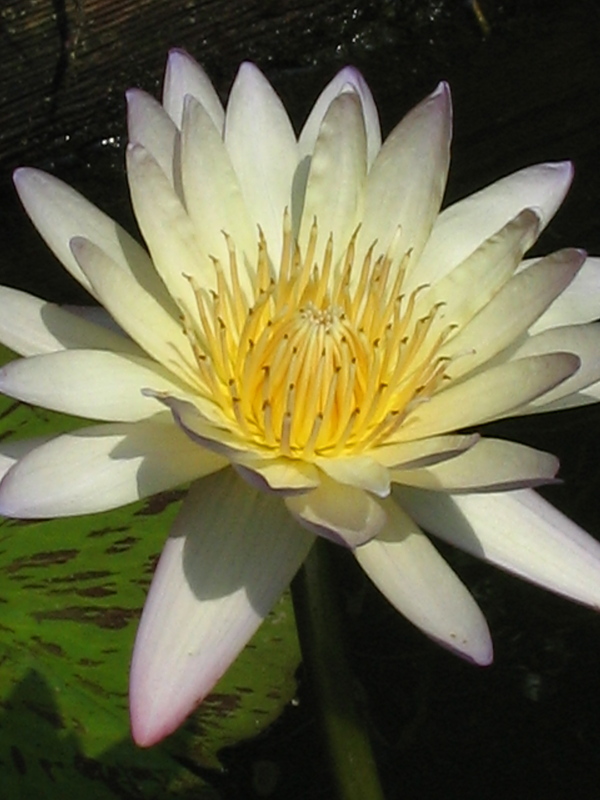 Register for Yoga and Hiking in Provence. For more information on the beautiful and breathtaking Luberon area, please click here. Please keep in mind that this is a “family style” retreat, which means that we are staying in a home, a 16th century *amazing* chateau in this case, but it is not a yoga studio. We will be practicing in the living area or outside if weather permits, so please bring your own mat and props. Also, Rita is an amazing chef who will be in charge of breakfast and most dinners, but we hope you will be willing to offer help for clean-up after dinner. We will make a schedule for clean-up to ensure equality in this regard. Seva, or service, is an important part of yoga practice. Clean-up will be minimal, but in keeping with the practice of seva. 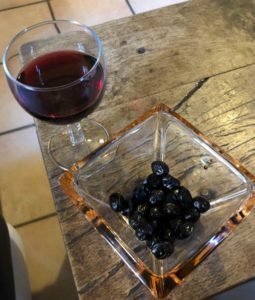 •Annette is preparing some amazing hikes for us in the Luberon mountain range. These will be 3-4 hours in length and we will be packing a lunch to take with us. The hikes will be very doable and require sturdy shoes, but hiking boots are not necessary unless you want them. •Lunch is at your expense, but there will be options to purchase from a local store or to use the chef services. We suggest a bagged lunch to take with you on the hikes. •More details regarding the hikes will be provided prior to our departure. Yoga clothes! Also, a bathing suit (if it is warm enough! ), and your normal travel wear. 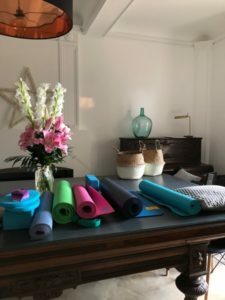 Your own mat and props; we are staying in a chateau that is large enough to accommodate our group yoga practice, but there are no props available there. You may wish to bring your own meditation cushion if you have one. You may wish to bring your water bottle to make sure you stay hydrated. Notebook/Journal and writing utensil is optional. Tennis racket if you play, our accommodations have a tennis court too. Your own toiletries and any other normal travel accessories. We recommend that you purchase travel insurance in case of unforeseen circumstances. Click on “Register” here, above, or below and complete the form. Total fee is $2200 double occupancy, $2600 single occupancy; not including airfare and some meals. Deposit of $1100 is due within 30 days of registration. Final deposit is due March 31, 2019. *Remainder of payment is due by March 31, 2019. *We recommend that you purchase travel insurance for yourself. *Refunds are available minus $75 administrative fee until March 31, 2019. After that date, refunds are available as long as we are able to fill your space. Fee does not include: transportation, lunches and one dinner. We recommend you fly in to Charles de Gaulle airport in Paris. Most planes from the US arrive by noon. Then, take the TGV train to Aix-en-Provence. The train station is located at the airport, and it is a three hour train ride. We will offer one pick-up at the Aix-en-Provence train station at a particular time on Monday May 6. If you are not arriving to Aix-en-Provence by then, please let us know and we will give you the address to make your own plans for arrival. We will offer a recommended flight and train ride soon so that many of us can travel together if you so choose. 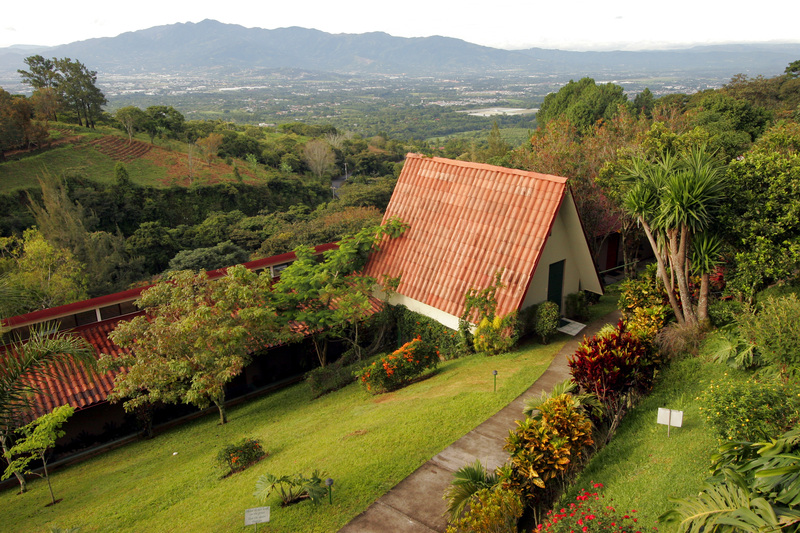 If you would like to do your own sightseeing during our retreat, we do have time in the middle of the day throughout the week. You are welcome to rent a car to do so.